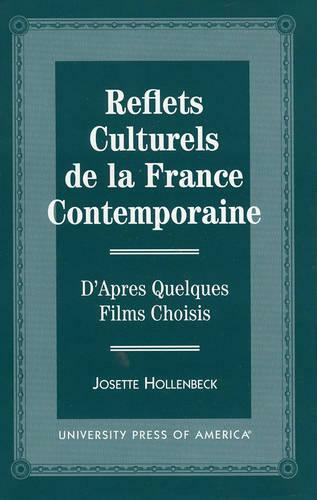 This book tries to capture the social environment that is prevalent in France today. It is divided into six chapters, each chapter being presented according to the age and situation of the main characters analyzed in the films. From childhood to advanced age, the characters give the reader an extended outlook on the characters' daily routine and the elements that affect their individual behavior in time of peace and war. Several problems are considered: the maturation of children in both country and town and their parents' responsibilities, the necessity to survive in the limits of the local economy, love and marriage, separation and family, self-identity within a group, experiences of life and death, and ethical questions related to patriotism, education and religion. All these problems are met within the framework of the chosen films. Each chapter is preceded by a list of chronologically presented idioms, which are explained and placed within the context of the scripts. Notes placed at the end of each chapter further explain particular aspects of contemporary culture, and are followed by class assignments of varying degrees of difficulty.